We understand that your time is precious. Not everything you want to can get done in one day, and before you know it, the weekend is upon you and you’re catching up on other projects. Who has time to address their window furnishings and drapery? That’s where Creative Window Coverings come in. We provide free interior design consultation services to our busy customers in Oceanside, Rockville Centre, and Atlantic Beach, NY. Whether you need to make purchasing decisions outside of normal business hours, or a helping hand in deciding upon your window treatments, our professional design consultants are here to help. Scheduling your free consultation is quick and easy: simply follow this link, and fill out the form with a message of what you are hoping to achieve. We will schedule an appointment with you, and before you know it, an interior design professional will be at your door to address your needs. To help get you started, be sure to request a free copy of The Art of Window Dressing Catalog from Hunter Douglas, packed with unique ideas and inspirations. During your home design consultation, our expert will assess your current upholstery, carpeting, and interior paint to ensure you receive the window coverings that will best complement your existing furnishings. They will help you match the color, patterns, and general aesthetic of your home, from our range of Hunter Douglas products, or our custom design window treatments. Beyond styling your window fashions, your design consultant will take into consideration your light filtering needs, along with determining options for prime insulation and energy efficiency. Whether your interior needs drapes, curtains, shades, or sheers, you can count on your designer to provide you with the best possible options for your home so that you can make an informed decision. Once you have determined which window coverings are right for you, our home interior designer will properly measure for your new window fashions, leaving you without any guess work or extra hassle. And when it comes time for installation, our experienced staff will be there to help. If you can’t stop by our showroom in Oceanside, NY anytime soon, then schedule your free interior designer consultation today! 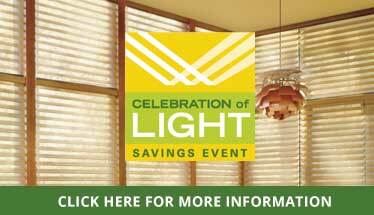 Our friendly and knowledgeable designers are ready to help you with your window treatments projects.